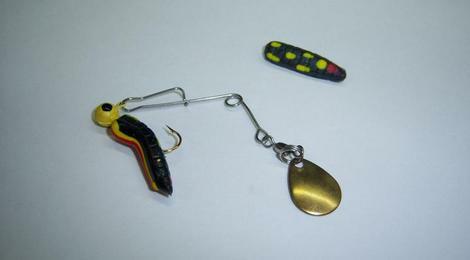 Here at Beaver Spin, Inc. we offer the best handmade fishing lures on the market. There are over 230 different types and colors available. Some resemble a live cricket while others are molded to look like frogs. We offer grubs with and without legs, split tail, and curly tail. They are perfect for fresh water fishing. Our New Taste assortment was ​created especially for crappie fishing. Our grub is hand poured into molds. Once the grub is ready, it is hand assembled locally along with the hook, spinner and legs if applicable. Our lures are sold by the card with 24 on each card. Each card consist of twelve individual packs which contain one hook, one spinner and two grubs. Our prices differ depending on the style of grub you choose. But don't just take our word for it, try one of our spinning grub products for yourself today. To learn all about the fantastic line of Beaver Spin lures, including split tail, curly tail, standard fishing grub lures, and much more, just take a look at our 'Products' page. Then give us a call and let us show you just what a Beaver Spin lure can do for you.